[2013.08.21] AKB48 - 32nd Single "Koisuru Fortune Cookie"
Re: [2013.08.21] AKB48 - 32nd Single "Koisuru Fortune Cookie"
Why WMatsui are not in there??? 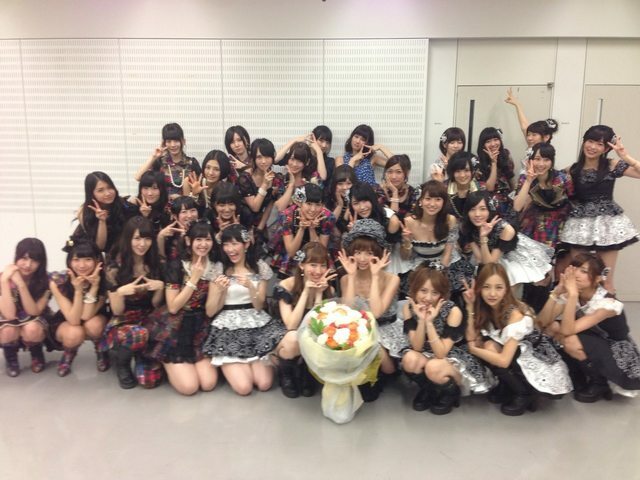 Who are the two behind Mayuyu and Yukirin? ^the YouTube vid is very much ''zoomed in'' to prevent premature removal by YouTube. Okay, this has officially became my 2nd most favorite sing-and-dance-happily-along AKB48 song!!!! I official LUV this song, too! 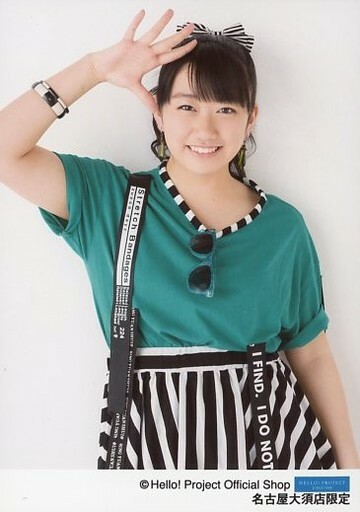 BTW: What's your 1st favorite singy.. dance dance.. whatever song, Saku-chan? very easy~ Hebirote of course!!! This is fortune telling too!!! Maybe there really is a future for SPR?! 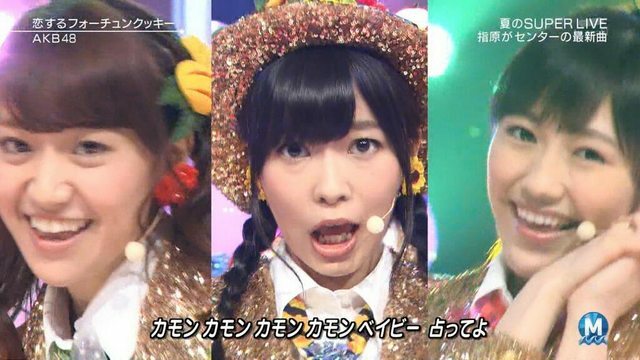 Plus, this was the first to predict that Sasshi will be center!!! Finally heard the song, very nice indeed! 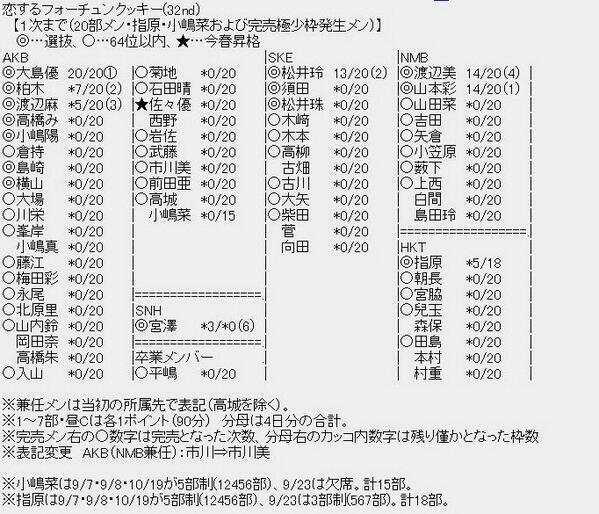 Handshake slots - first round - 32nd Single "Koisuru Fortune Cookie"
Shinoda Mariko and Itano Tomomi will graduation songs. 4. 恋するフォーチュンクッキー off vocal ver. 5. 愛の意味を考えてみた off vocal ver. 6. 今度こそエクスタシー off vocal ver. 6. 推定マーマレード off vocal ver. 5. 最後のドア off vocal ver. 6. 涙のせいじゃない off vocal ver. Page created in 0.406 seconds with 13 queries.